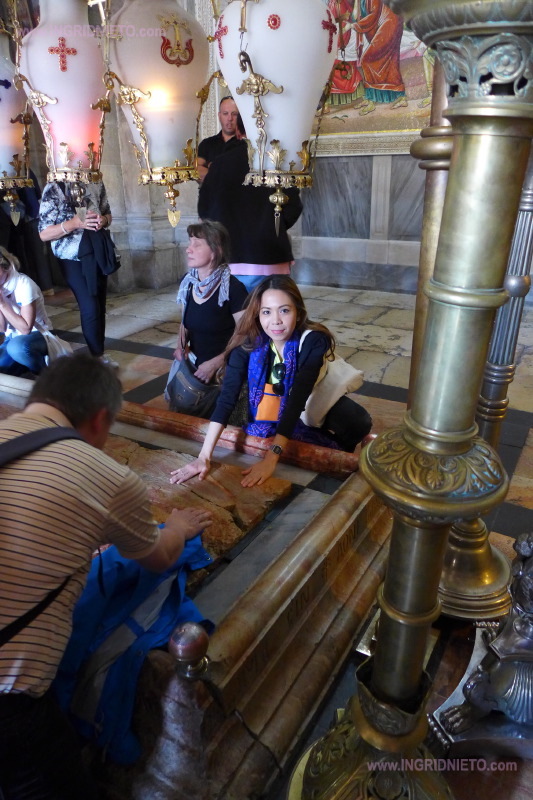 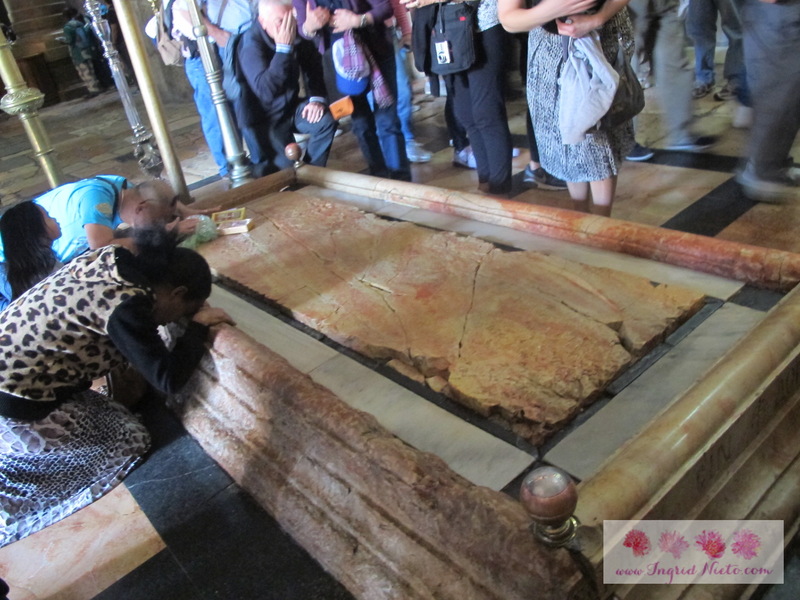 The Holy Sepulchre is believed by a lot of Christians as the place where Jesus Christ was crucified (Golgotha) and where He rose from the dead. 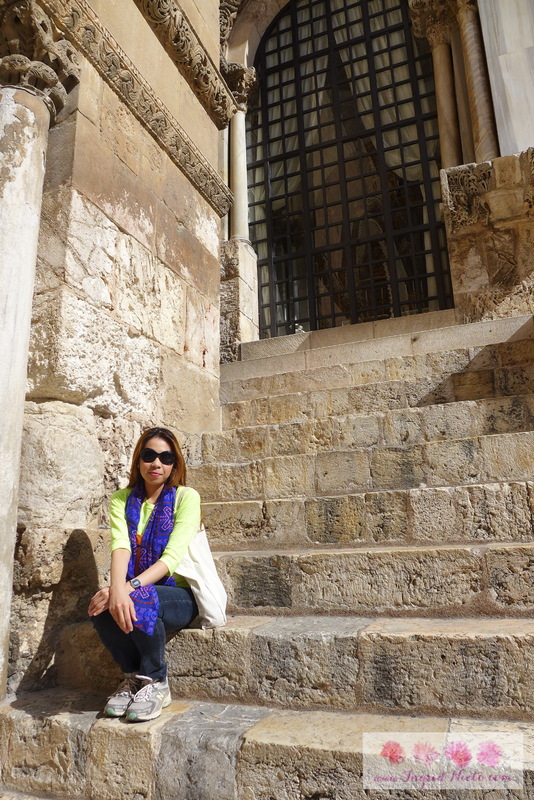 It took a while for us to get through those doors as it was very crowded inside. 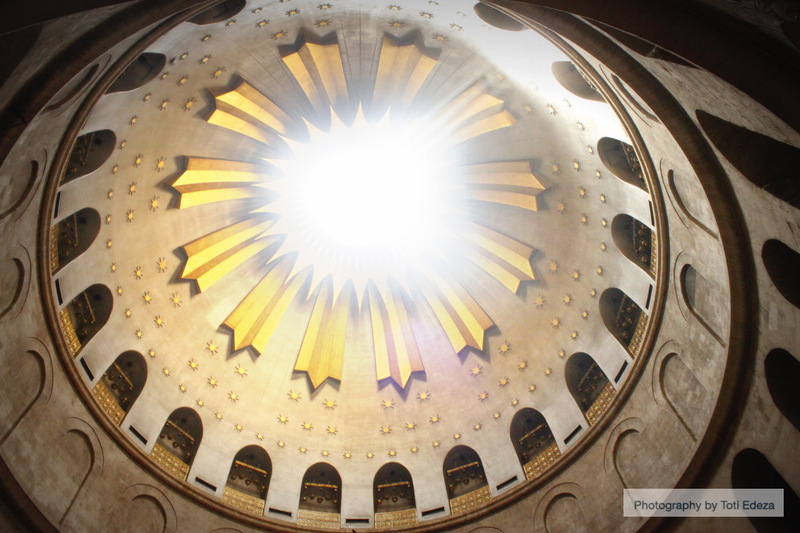 I find it interesting that different Christian denominations share control of the church but Muslims are said to have the keys to the main door. 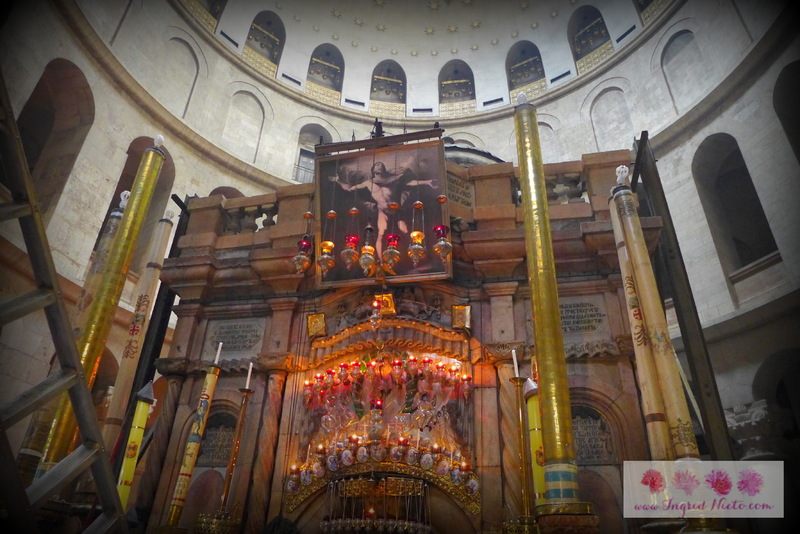 Lines and lines of tourists flocked towards this huge structure–the entrance to the tomb of Jesus Christ. 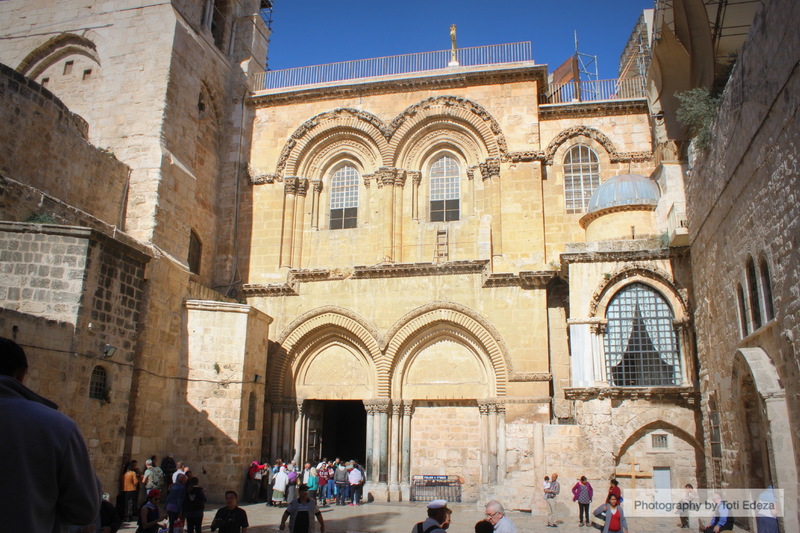 Later, we’ll look at the Garden Tomb which is the alternate site believed to be where Jesus was really buried. 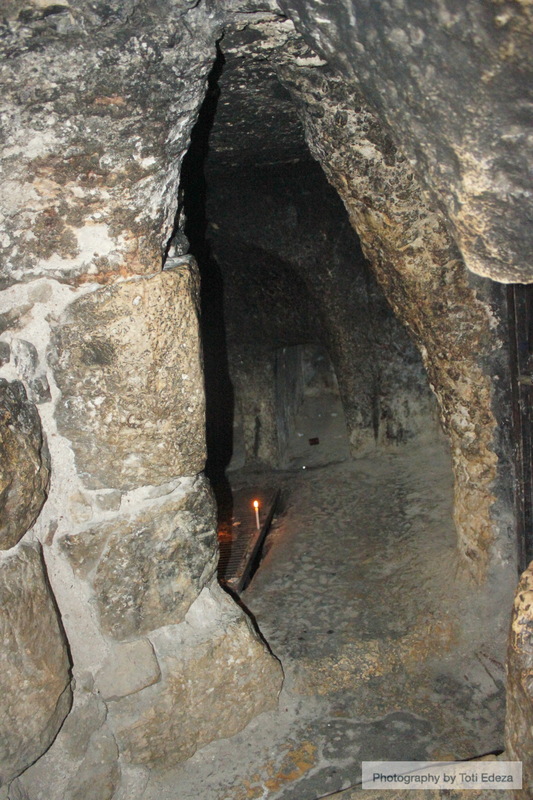 Researchers looked into the historical and geographical facts in the Bible and found that the location fit the descriptions of Golgotha (The Skull Hill) and the tomb which was originally owned by Joseph of Arimathea and “lent” to Jesus Christ.